Today I arrived at work and found this on my desk waiting for me. I am confused by this. 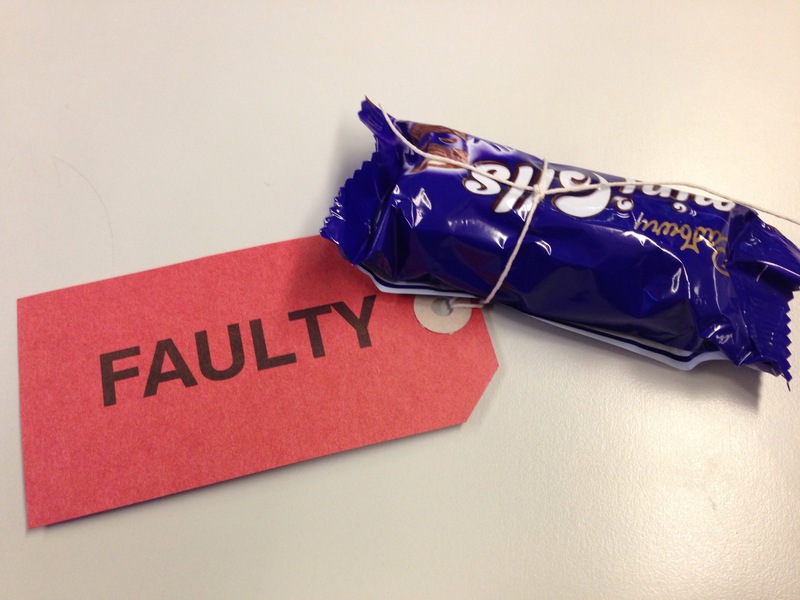 Red fault tags are supposed to be used to label technical equipment that has been broken and logged with the appropriate department. I have not been trained in the correct protocol to use when cake has been labelled in this way. Anyway, long story short, I ate the cake. It was nice. 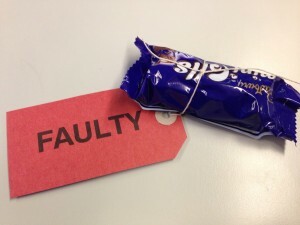 It didn’t taste particularly broken. Is anyone here a doctor? If so, can you tell me if I am in any danger? Thanks. I don’t think you’re in any danger. I’ve eaten many cakes, both dangerous and non-dangerous, even some from the floor, but I’ve never had any problems. I think if you haven’t already done so you should push it into your face as soon as possible. I’m not a doctor, but as a man with a level 3 diploma in poodle grooming, I’m sure you’ll be fine. This is very reassuring. I have not yet felt any ill-effects from eating the cake so I think you are both right. Should I take this as a positive sign re. dirty/broken cakes? Perhaps I should be on the lookout for less desirable cake opportunities now that I know they are safe. The last time I checked you needed to fill in a C1971 form for a broken cake. I see no evidence on the bakabase about anyone filling in the paperwork so you’re good to go. Broken cakes have feelings too. They should not be neglected in favour of more aesthetically-pleasing cakes. I agree, just make sure that ‘broken’ doesn’t mean that a dog has weed on it or something and you’ll be found. I would like to be very clear about the fact that I did not neglect the broken cake. I paid it a lot of attention, and as a direct result of that, it left. So how much did you enjoy the broken cake using unorthodox letters of the alphabet? I’d tell you but I haven’t got a keyboard modern enough to spell words like “zhuzh” or “cazjh” properly. You’ll just have to imagine how it felt. Imagining is hard. Remembering is fun.